Alien Day (26th of April) 2016 saw the release of a lot of Alien merchandise. One such release was the second in Tim Lebbon’s Rage War trilogy. Following on directly from Predator – Incursion, Alien – Invasion picks up right after the closing pages of the previous book and dives back into the far flung future. With the majority of the world building already accomplished in Predator – Incursion, Alien – Invasion dives straight into moving the story along. As the name implies, the second entry in The Rage Wars focuses on the Rage’s invasion of the Human Sphere, the space in which humanity has colonized. The creature focus also moves off of the Predators and onto the Aliens that the Rage has weaponized and is using to devastating effect. One of the things I always worry about when it comes to Alien comics or novels is how the Alien is portrayed. In Tim Lebbon’s first foray into the Alien world, Alien – Out of the Shadows, I really enjoyed the Raptor-like approach Tim took. I thought it suited the creatures very well. As we move into The Rage Wars, we find the Aliens being used in a more mindless endless wave approach. Something I’m not really keen on. However, given the specifics of the novel and the fact that the Aliens are being controlled by the synthetic generals of the Rage this approach is certainly understandable as the Aliens are not operating under their own faculties. And I can’t fault the Generals for using the overwhelming tactic, it certainly works. Sometimes it’s just nice to see the Aliens being presented as more intelligent. The Generals of the Rage are synthetics able of controlling the Aliens using advanced technology supplemented by extra-terrestrial technology discovered by the Rage. The biggest issue I had with Predator – Incursion was that I felt it never adequately put across just how dangerous the Predators were. It always seemed more like the human characters had the upper hand and had no need to fear the Predators. This isn’t an issue that is replicated in Alien – Invasion with either the Rage or the Aliens. Regardless of the way the Aliens are portrayed, they are shown to be an absolutely devastating force. As are the Rage through their control of the Aliens and their own ships are shown to be more than a match against those utilized by mankind. We play witness to the Rage’s annihilation of humanities’ forces and capture of strategic dropholes around the Human Sphere. 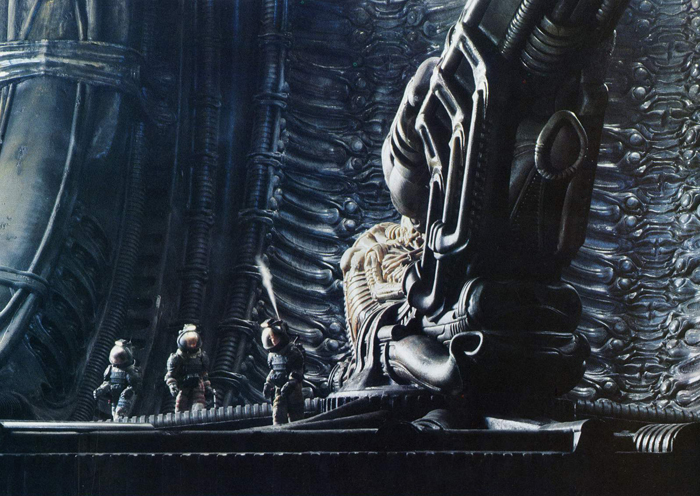 The relationship between the Rage and the Aliens is only touched on briefly in Predator – Incursion but Alien – Invasion expands on it, explaining that the Rage’s control over them is a combination of research obtained from Weyland-Yutani in the prologue of Predator – Incursion and the technological advancements in nanotechnology that the Rage has developed during their sojourn away from humanity. The Rage and their backstory is one of the things that I loved most about Predator – Incursion and that very same fascination and love persists throughout Alien – Invasion. Tim Lebbon continues to expand and develop on the new faction but there is still much left unsaid that I really can’t wait to find out more about. We get a taste of rifts within the Rage and a desire to return to their former identity of the Founders with Liliya in Predator – Incursion, and we start to see more of this fracture in Alien – Invasion on a larger scale. Not only does it serve to complicate the plans of the Rage, it also serves to add more depth to this fascinating new faction in the Alien and Predator lore. Tim Lebbon also further expands on the Rage knowledge and technology in Alien – Invasion. Their method of controlling the Aliens are further elaborated on and so is one of the Rage’s most important sources of advancement: the Faze. Only briefly touched up in Predator – Incursion (and not named back then), the mysterious creature known as the Faze is given more attention and it seems like Lebbon is setting it up for a more significant role in the final novel, Alien vs. Predator – Armageddon. The Faze is responsible for reshaping and advancing the Rage ships in what is described as looking like biomechanical advancements. I don’t expect to see it said in the novels but I have to wonder if Tim Lebbon envisions the Faze as being a tool of the Engineers/Space Jockey’s that is responsible for the construction of their Juggernauts. Is the Faze responsible for the construction of Engineer/Space Jockey ships? With the majority of the world-building already done in Predator – Incursion, Lebbon has room to focus more narrowly on the main characters and their plight. 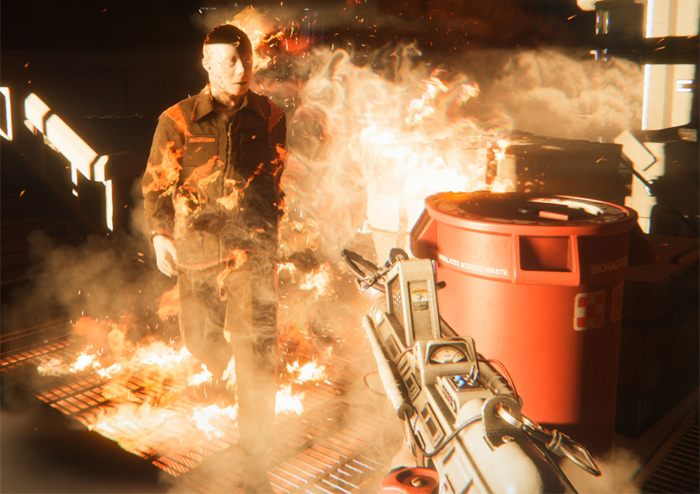 That said, a couple of chapters earlier in the book still feature one-off characters and situations that serve to show how deadly the Rage are and I found those sections to be quite effective. The focus on characters is nice and tight in Alien – Invasion, sticking primarily to the returning characters from Predator – Incursion with only a couple of new major players introduced and some surprising exits from the existing characters. I continue to love Liliya and Isa Palant though I think it’s Liliya that gets the most fun development in Alien – Invasion as she spends some quality time with the Predator Hashori. I really enjoyed reading about their developing relationship and learning to understand each other. I’m not a massive fan of Steve and Stephanis’ Perry’s approach to the Predator and their Yautja culture in the earlier Aliens vs. Predator novels but I continue to enjoy Lebbon’s take on the Predators (them being called the Yautja still bugs me though!). While we’re on the topic of the Predators, just because their name isn’t on the title doesn’t mean they don’t appear. Their presence is somewhat minimal, always lurking on the periphery but when they do make their presence known, they make it known. The Predators are portrayed as being very capable and effective. 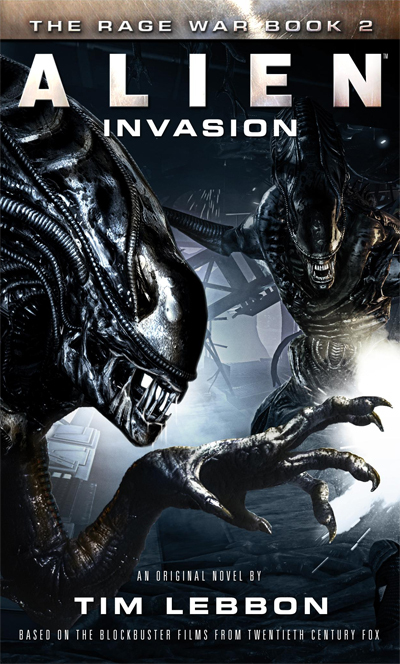 The cover art for Alien – Invasion. The characters throughout the book largely receive equal attention, leading to some surprising but completely understandable twists and events throughout. Alien – Invasion also introduced us to a two new characters, Jiango and Yvette Tann, a married couple with expertise in the Aliens and Weyland-Yutani. We don’t get to spend as much time with them as returning characters but I really enjoyed what we did get with them and really look forward to seeing them return in the final book. Alien – Invasion is yet another solid novel Alien novel from Tim Lebbon. As with Predator – Incursion, The Rage War continues to feel fresh and unlike any of the previous Alien or Predator novels and I think this largely due to the militaristic hard sci-fi approach that Lebbon has taken with The Rage War. From Aaron Percival here at Alien vs. Predator Galaxy, I award Tim Lebbon’s Alien – Invasion with 7.2 out of 10. Just in time! Finished this yesterday afternoon and i gotta say i cant wait for the epic conclusion where Aliens and Preds finally duke it out on (Sigourney? )Weavers World!